Michael Flecker enters his first season as an assistant coach for the Grove City College women's soccer team and his fourth year overall with the program after spending the past three seasons as a student assistant. 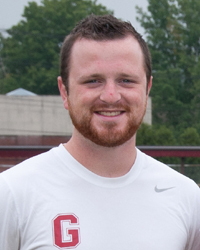 During his time with the team, Flecker has worked primarily with the team's goalkeeping unit, helping train current senior Kristi Lathrop to all-conference honors in 2012. A native of Portersville, Pa., Flecker graduated from Grove City in 2014 with a degree in Spanish Education. He currently is a Spanish teacher at Cardinal Wuerl North Catholic High School in Pittsburgh.